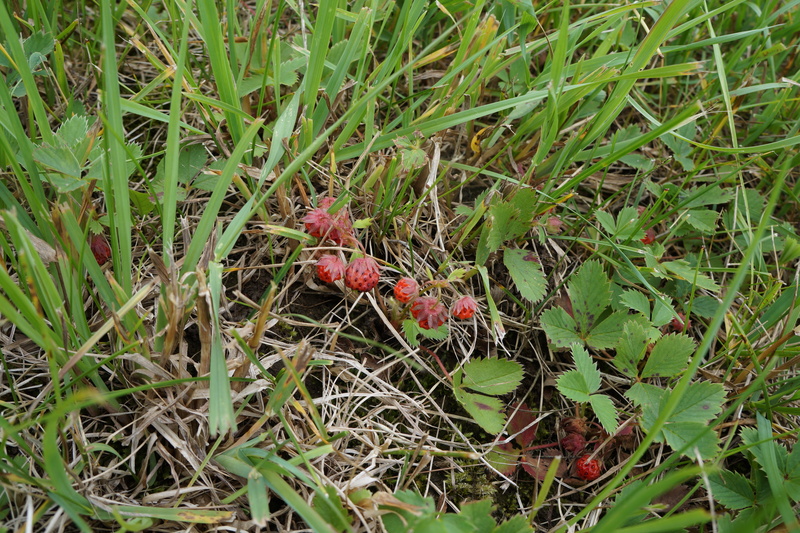 I was able to pick just enough wild strawberries in our field to make one recipe – a recipe where these tiny fruits would stand on their own and not get lost with a lot of other ingredients. So marinating them in balsamic vinegar and serving it with olive oil ice cream seemed the only option. I hope the guests at Angie’s Fiesta Friday #22 approve. I have never made olive oil ice cream before, but it sounded intriguing to me. There are lots of recipes on line, and I have read most of them. Finally, I made a fairly standard custard and added some olive oil. I expect any standard ice cream recipe would work, but best if you use a little less sugar than normal. If you don’t have wild strawberries, then use regular ones. As for the olive oil, I noted that you should use a good quality fruity oil and not a peppery one. Some recipes called for oil infused with lemon, but I had not time for that. I just used my Costco brand organic extra virgin olive oil which worked fine. If you have a really special fruity olive oil, by all means use that. Heat the cream and milk until almost boiling. Pour a little at a time, continuing to mix while pouring, into the egg yolks beaten with sugar. Return it all to the pan and cook on medium heat until it coats the back of a spoon, about 7 minutes. Be careful not to overcook it. Remove from the heat, allow to cool a little, then add the olive oil and mix in thoroughly. Chill in the fridge, and then freeze in an ice cream machine according to instructions. Sprinkle sugar on the strawberries and allow to stand until the sugar dissolves and a syrup forms. This can take a few hours, but stirring it occasionally helps it along. Just before serving, add the balsamic vinegar. I served it before it really had a chance to freeze properly, but it was delicious nonetheless. Our lawn is covered mostly with four plants. Grass, clover and dandelions I am well familiar with – but the fourth seemed barely worthy of a name. It is neither beautiful, nor so ugly that you need to get rid of it – it just is. I recently read about this plant which indeed does have a name, plantain or plantago mayor and I became intrigued by its many uses, nutritional and medicinal. All its parts are edible, and while I haven’t found any ripe seed pods yet this year, I have been using the young, light green leaves raw and cooked. Where to find them: Lawns, fields, roads, gravel, cracks in pathways. It was brought to North America by colonizers and was referred to as “white man’s footprint” as it was found growing in all the European settlements where the land had been disturbed. Identification: The plant is made of a rosette of oval leaves. The veins begin at the base – the central one being straight and extending through the full length of the leaf. The remaining veins are curved along the line of the shape of the leaf. The flower is a stiff rod, at first green and then turning brown which sticks straight up from the centre of the plant. Uses: Young leaves can be eaten raw, while the older ones should be cooked until tender. The leaves which have antibacterial and astringent properties can be used as a poultice to apply to stings and wounds to reduce pain and prevent infection. Seed pods can be cooked much like asparagus, and the seeds are used as a substitute for psyllium. It is also a valuable weed in your garden as it breaks up hard soil and holds loose soil together to prevent erosion. 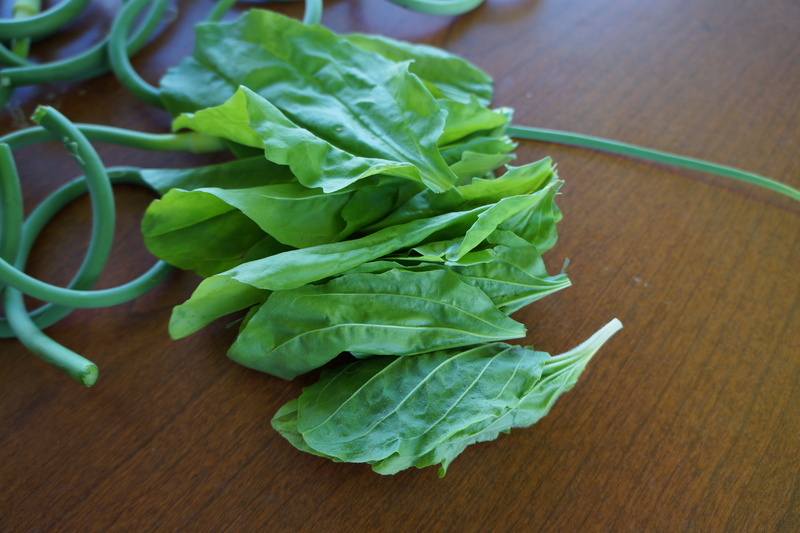 Nutritional Value: Rich in iron and vitamins A and C.
The easiest comparison of this plant with something familiar would be spinach, although the leaves are tougher, more like kale. The flavour is not strong, so pairing them with seasoning, herbs, garlic, lemon, fish sauce, soya sauce and other flavourings all work well. I first tried steaming them in oil and a splash of water with garlic which I then combined with omelettes and pasta or just served as a side dish. I also made a smoothie, using 1 cup of young raw plantain leaves, 2 sprigs of mint, a little honey, 2 cups of almond milk and a banana and an apple. 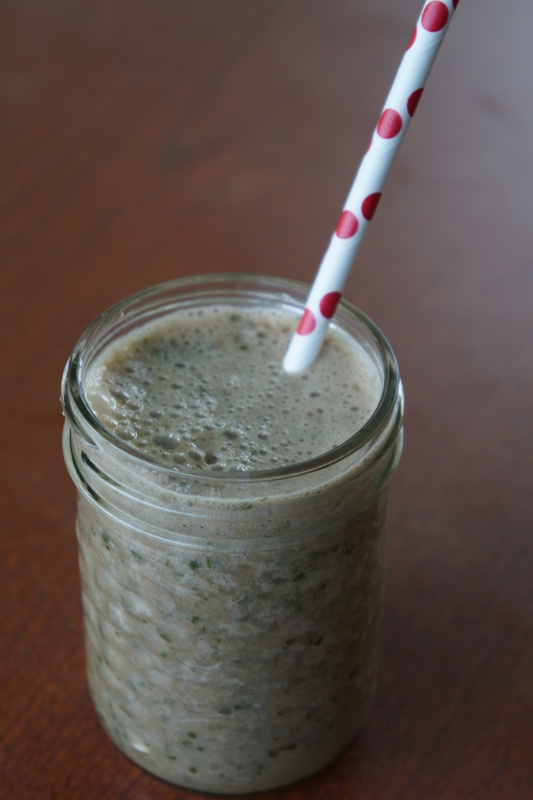 Pureed in the blender and chilled it made a delicious healthful drink, even if the appearance was less than stellar. Now that scapes are in season, I decided to augment my scape pesto with some plantain. 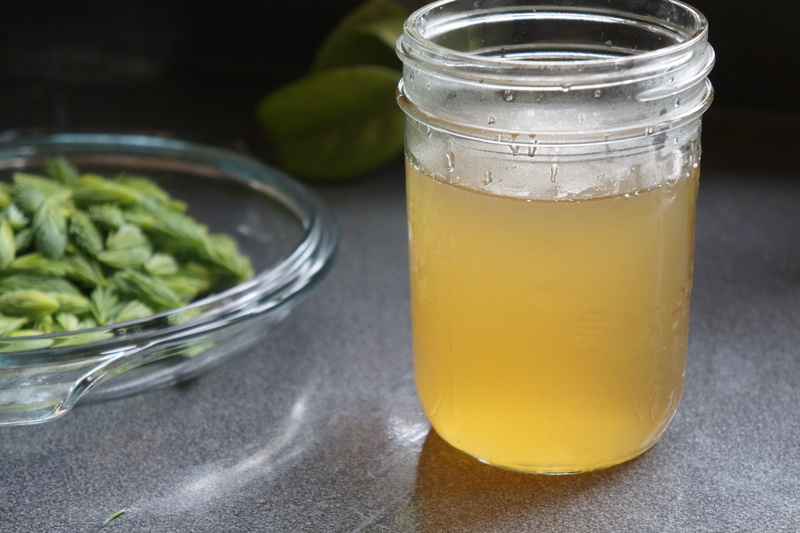 This recipe can be frozen for several months, so I tend to make a good batch of it – by a good batch I mean enough for one meal plus two jars. Blend all the ingredients in a food processor until almost smooth. 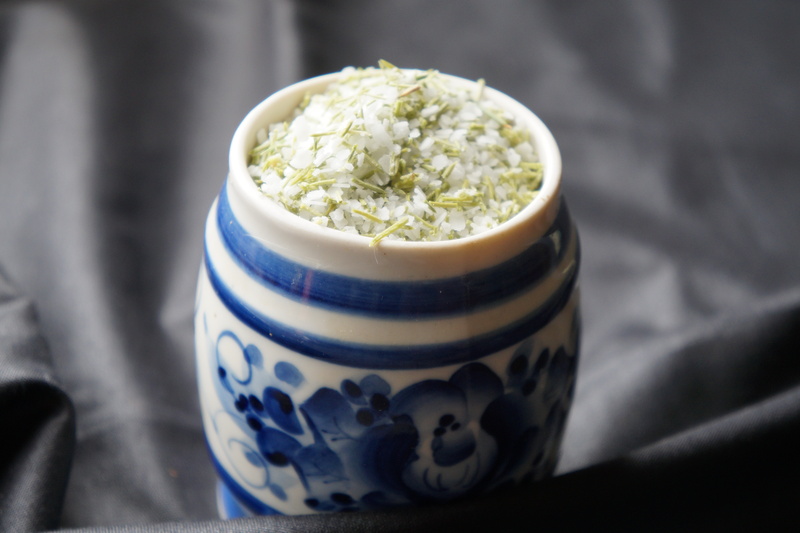 Salt to taste or parmesan cheese can be added, but I usually add those when I serve them. 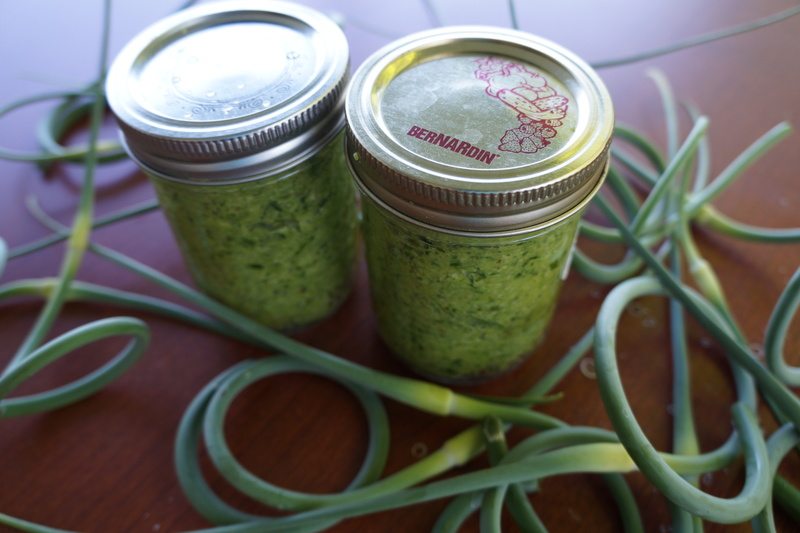 This pesto is excellent with pasta, spread on bread or crackers, or served with fish. 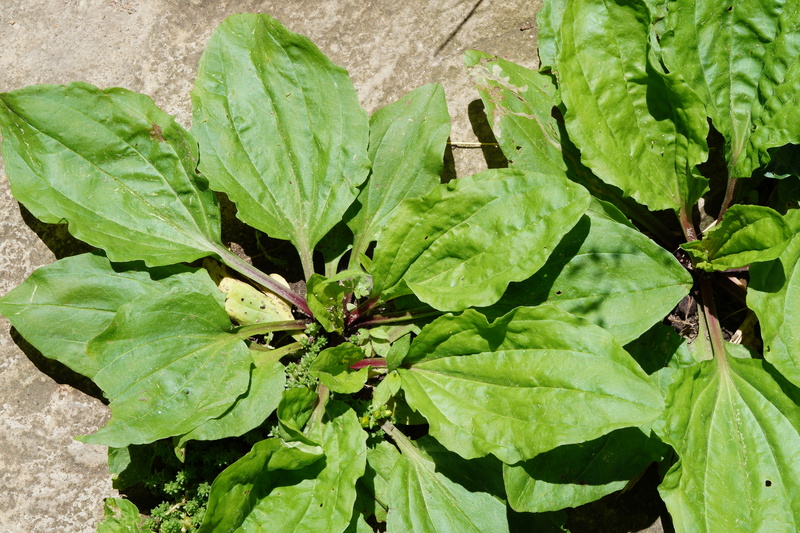 Categories: edible weeds, recipes, snacks, Uncategorized | Tags: edible weeds, foraging, pesto, plantago major, plantain, scapes, smoothie | Permalink. I have just begun to cook with farro, and my trials so far have given such good results that it will no doubt replace barley, rice and other grains for many of my recipes. It has a nutty, sweet flavour with a pleasantly chewy texture. The fact that it is higher in protein and fibre than wheat is another good reason to choose this grain. Although it has been around longer than any other cultivated grain, it is relatively new in the North American market, and there is still some confusion about it. Related to spelt, it is sometimes lumped in with this grain. The botanical name for spelt is Triticum Spelta, while farro (emmer) is Triticum Dicoccum, so there is a difference. My latest recipe mixes farro with one of my favourite greens, another ancient superfood, lambsquarters. If you don’t have as much as I do, you can use part or all of other greens like kale or spinach. For the herbs, I used green and red basil and mint, but use whichever mixture you prefer. And so I bring to Fiesta Friday 21 an original, vegan burger I hope you will enjoy. To prepare the farro, soak it in water overnight or for a few hours. Then cook it as you would rice. This will take 10-15 minutes. 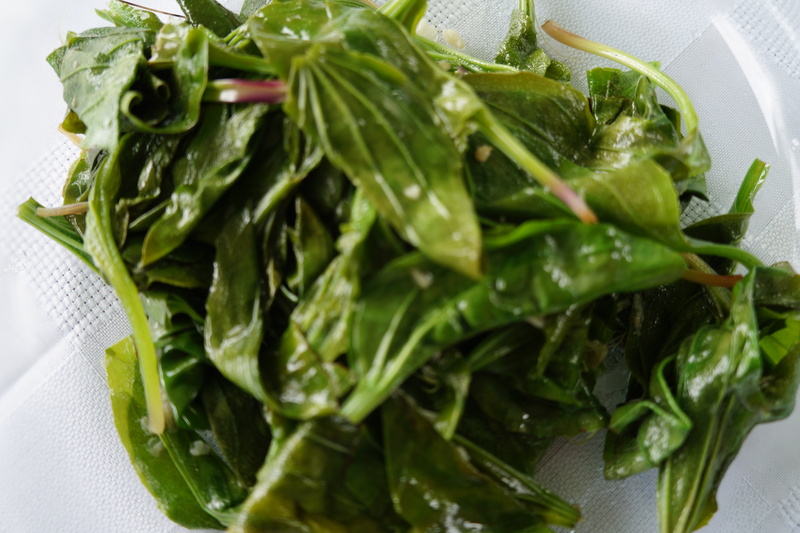 Steam the lambsquarters, or other greens, until they are nicely wilted with just a little water. If there is any excess water, drain it off (and use it for cooking the farro). Chop the greens and mix all the other ingredients together. Form into patties and fry in a little oil of your choice on a medium heat, approximately 10 minutes on each side. Categories: edible weeds, main dish, recipes | Tags: burgers, farro, Fiesta Friday, lambsquarters, patties, vegan | Permalink. 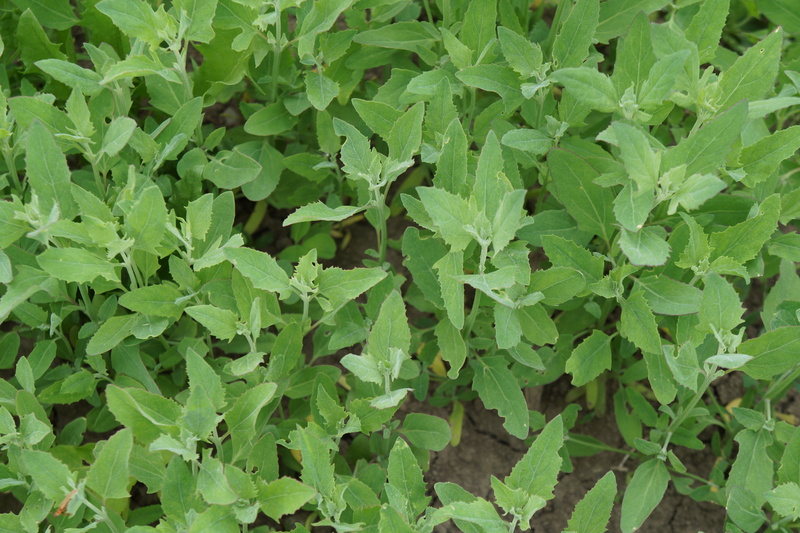 Lately I have been writing about weeds which are so plentiful, even invasive, that foraging them can be done with impunity – things like grape leaves, lambsquarters and nettles. Milkweed does not exactly fit into that category. Although they are very plentiful where I live, I treat them with utmost care and encourage their proliferation. The reason for this is that they are valuable sources for the pollinators, especially the monarch butterfly which depends on them for survival. Our fields are a virtual oasis for butterflies next to a dessert of heavily treated cornfields where there is not a healthy weed in sight! I am so hoping the butterflies find their way this summer to our land of plenty. If you are interested in helping save the monarch butterfly, check out this article. 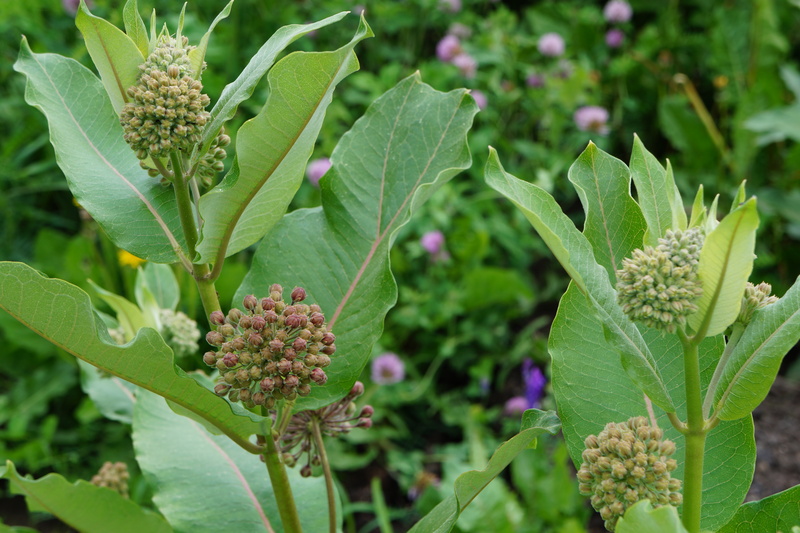 There are many varieties of milkweed, but the one I am talking about is the common milkweed (asclepias syriaca), until recently considered a noxious weed in Ontario but now undergoing a change of status. It was considered noxious because the toxic milky substance is harmful to livestock. However, in light of the importance to the survival of the butterflies, we gardeners are now free to grow them in our gardens. 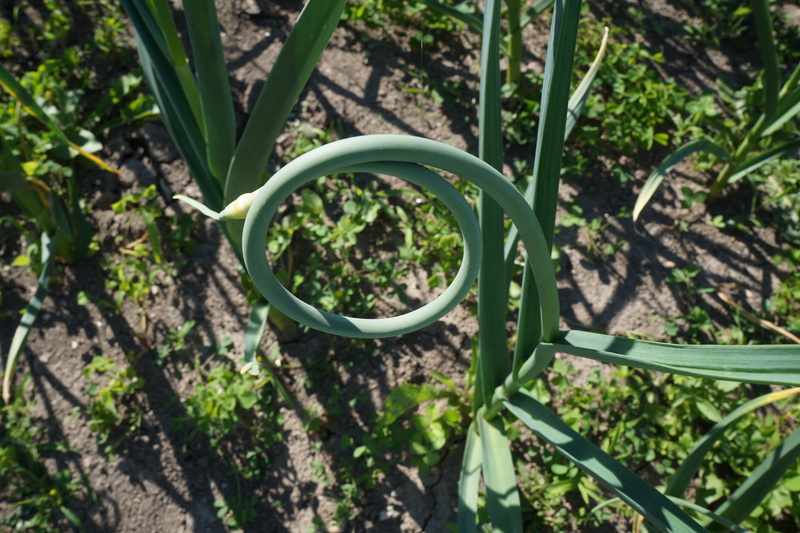 There are several parts of the plant that are edible, as long as they are harvested at the right time. The young shoots, flowers, and seed pods when still small are all edible, although the usual precautions should be taken when first trying them, i.e. trying a small sample. I pick a few shoots which are growing in place where they interfere with my garden vegetables. In the fields, I pick only one flower or pod of each plant to ensure its survival. It is not something to eat in huge quantities, but if you have access to the plants, small amounts are wonderful to add to your favourite summer dishes at the appropriate times. Now is the time for the delectable flowers. Last year I offered a recipe for a soup made with the flowers. 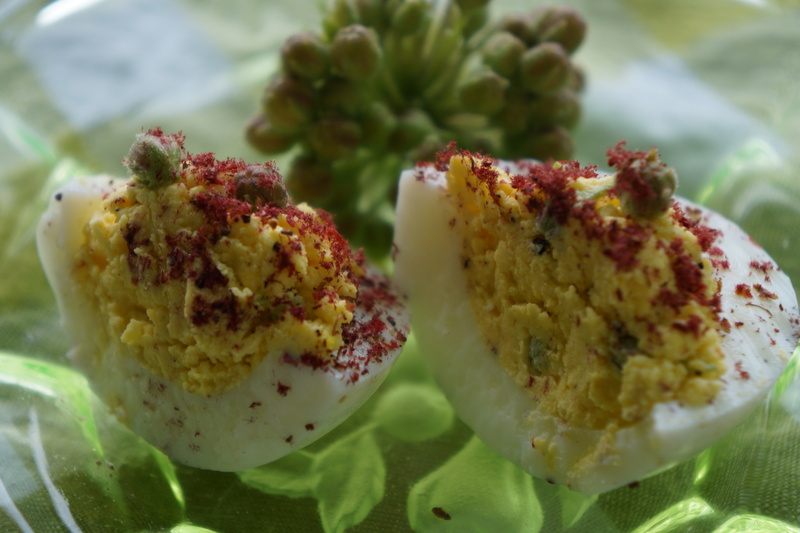 My new recipe is for devilled eggs, with just enough of the flower to give them a little extra crunch and flavour. I kept the ingredients simple so as not to overwhelm the delicate flavour of the flowers. Peel and cut the eggs lengthwise. Scoop out the egg yolks into a bowl and mash them with the cheese, mustard, florets, salt and pepper. If you want them creamier, add more cheese or a little mayonnaise. Fill the egg whites with the mixture. Garnish with a few more florets and sprinkle with the sumac or paprika. 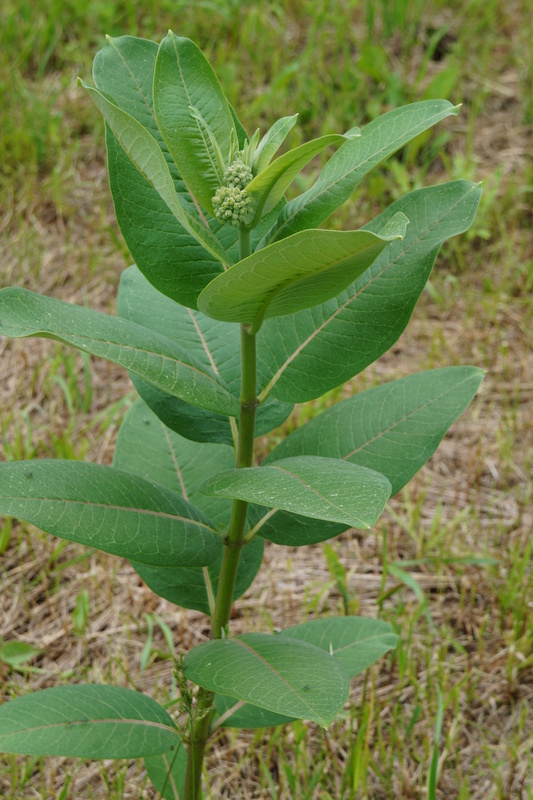 Categories: edible weeds, recipes, snacks | Tags: ascelpias syriaca, common milkweed, devilled eggs, milkweed flowers, monarch butterflies, sumac | Permalink. 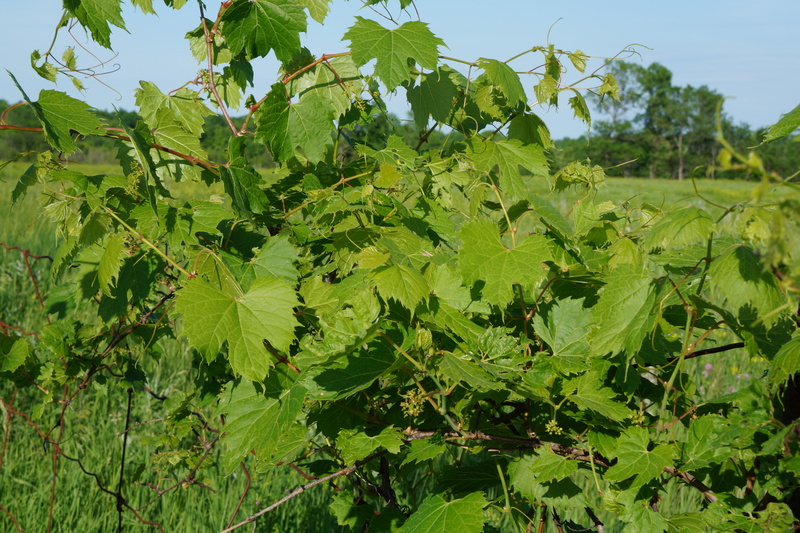 This is the best time of year to collect wild grape leaves – or any grape leaves – but for this blog, I only consider the wild varieties. I haven’t had time to come up with any new recipes for this year, but decided to write on foraging them without delay so you can start collecting them and storing them to use in the months to come. Grapes, particularly the wild variety, have been touted as a superfood, high in antioxidants among other things. However, the leaves also offer a wide range of nutrients, including omega-3 fatty acids, antioxidants, magnesium and calcium. They grow in super abundance in hedgerows, roadsides, and untended lots – even in the cities. 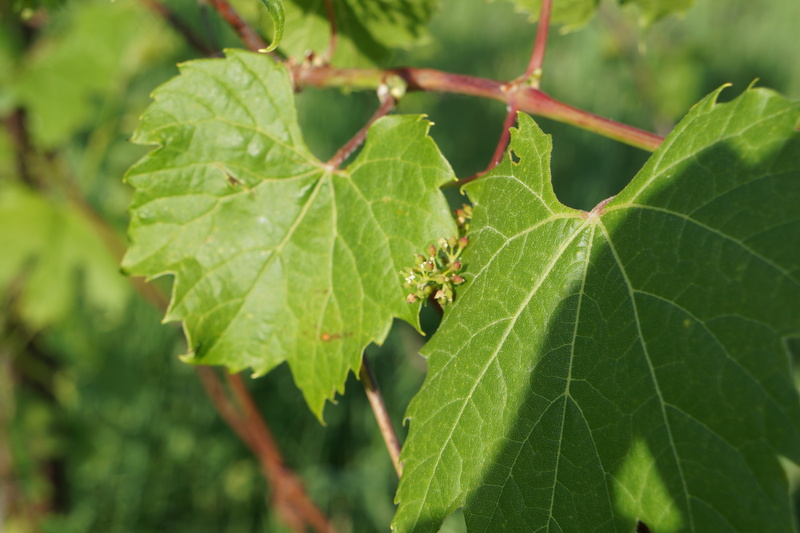 They occur in every part of the world, excluding the Antarctica, so while your vines might not be identical to mine, you are bound to have some growing somewhere in the area no matter where you live. Be sure to identify them properly, as with any wild food. In this area, there is one toxic look-alike called the common or Canadian moonweed (menispermum Canadense). Its fruit differs from the grape in that it has one crescent shaped seed, while the grape has several round ones. Before the fruit appears, they are distinguishable from the grape because the moonweed does not have tendrils, whereas the grape has tendrils which it uses to climb most commonly around trees and fences. To gather, pick unblemished leaves from plants which are not contaminated by pesticides or chemicals (near a busy road or railway tracks). Blanche them in boiling water just until they wilt. Shake them dry and pile them neatly. Store and freeze in plastic bags. The younger light-coloured ones can be used fresh in a salad. I will be posting recipes using these leaves soon – and of course later will follow with recipes using the fruit. Categories: edible weeds | Tags: foraging, local food, recipes, wild grape leaves | Permalink. 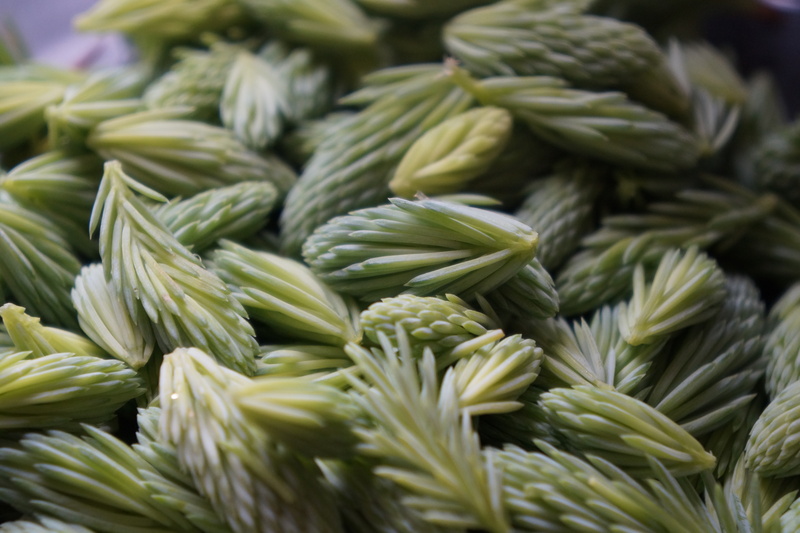 After having harvested and preserved a few cups of tender young spruce tips for yesterday’s post, what to do with them today? I wanted to make something special for Angies’ Fiesta Friday, but I don’t have a whole lot of experience cooking with this particular ingredient. I did make tea, cookies and a vodka infusion all with pine needles, so I have to take it to the next level. Also it was difficult to decide which preserve I should use – the salt, sugar or syrup. 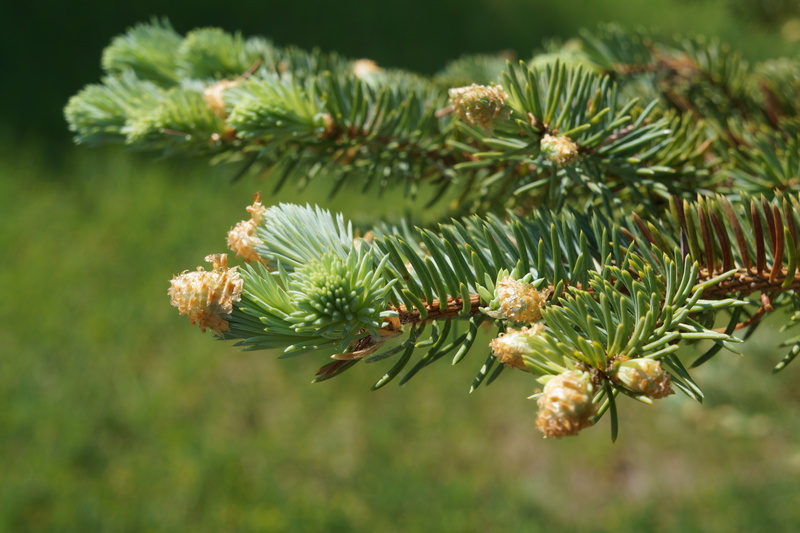 The syrup is very easy to eat, with much of the resin flavour barely perceptible, so would be good for those who are not yet ready for a large dose of the spruce’s distinctive flavour. On the other hand, the sugar and salt are such excellent vehicles for this unusual flavour, I wanted to experiment with them first. 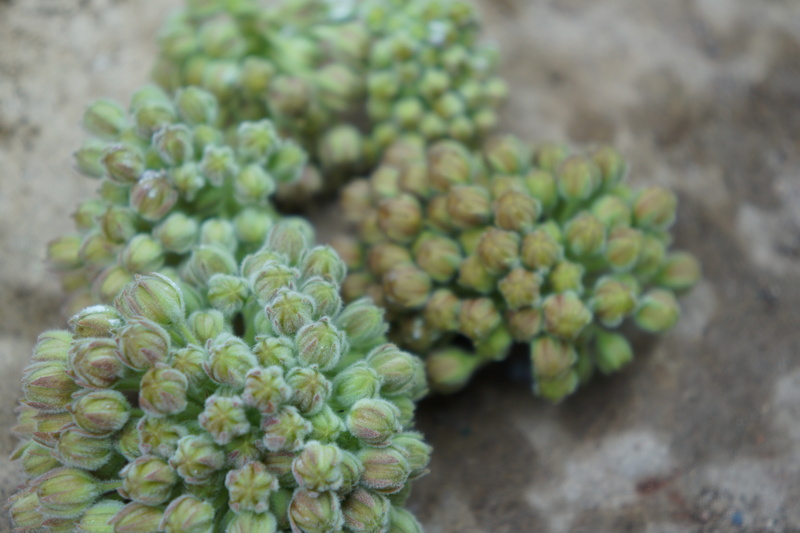 Finally, I decided on ice cream – an ice cream that combines sugar and salt, and of course these gorgeous little green shoots. So first I made a caramel sauce, let it cool, and stirred in just a little of the salt and spruce mix. I figured that if it was really bad, at least I wouldn’t have wasted my home-made ice cream. Well, it was not really bad. In fact, it was superb and I could have just eaten it all, but resisted and saved it to swirl into my plain ice cream. You could take this sauce and just serve it with a vanilla ice cream. You could also use it with your own favourite recipe. 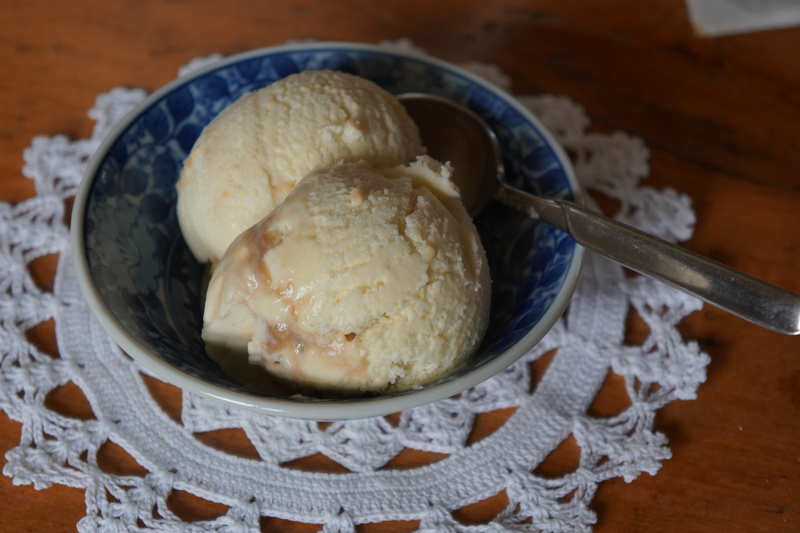 But I will share with you my simple ice cream made with a custard base along with the caramel sauce and, of course, the spruce-flavoured salt. Heat the first three ingredients until they start to boil. Remove 1 cup of this mixture, and add just a little at a time to the eggs. Return the egg mixture to the pan and continue to stir on a low heat until it coats a spoon (or is about 170 F). Allow to cool. Put it into the fridge until cold. Pour it into an ice cream machine and allow to freeze. Over a medium heat, add the brown sugar to the melted butter and once dissolved, add the milk. Continue to stir for about 8 minutes, until the mixture thickens. If not sure, remove a small amount on a spoon and when it is cool, it should be of caramel sauce consistency. Remove from the heat and let it cool completely. Add the spruce salt. Blend these in a food processor until the tips are roughly chopped. Spread on a tray to dry. 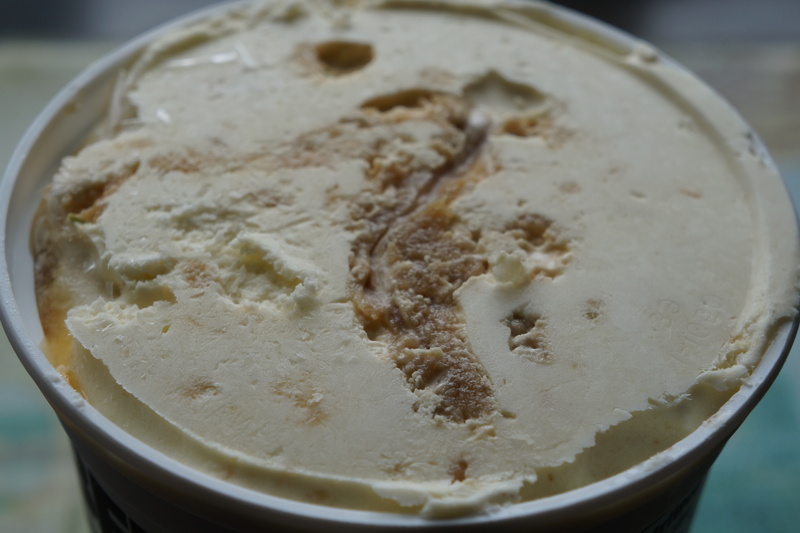 To finish, take the ice cream from the machine, stir in the caramel sauce gently using a knife to create a marble effect. Place in a covered container and freeze. Categories: dessert, recipes | Tags: edible evergreens, Fiesta Friday, foraging, frozen dessert, ice cream, locavore, seasonal, spruce salt, spruce tips, wild edibles | Permalink. This is the best time of year to collect edible evergreens. Not all evergreens are edible, but if you make sure you are picking only spruce or pine, you will be safe. The non-edibles or even toxic include yews, evergreen oleander and hollies. 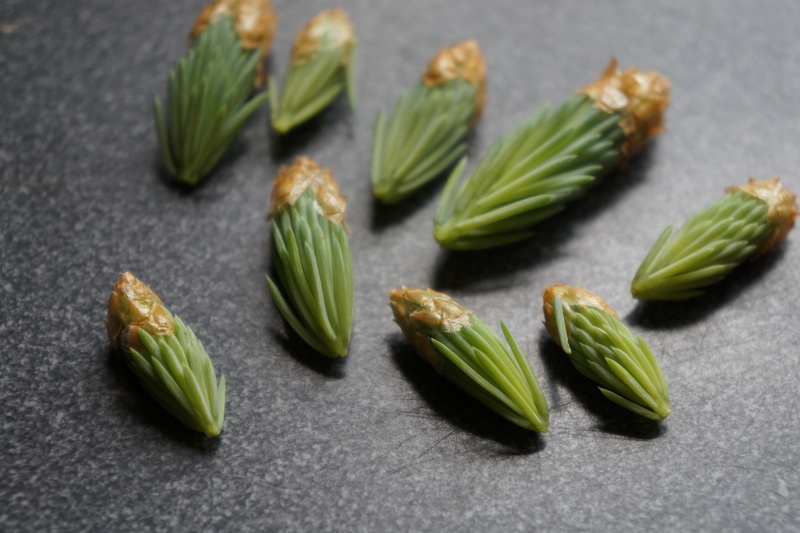 I have picked spruce tips to begin with, mainly because I have so many on my property, but also because they are easy to identify and very easy to pick. I have not had time to experiment much with them in cooking, but if I wait until I work out more recipes, it will be too late for you to collect them while they are still at this desirable stage. They can be dried for later use, or infused in vinegar or honey or vodka. The new growth on the trees, small, pale green tips on the branches are at their very sweetest now. Just pluck off the small tip as you would a berry, remove the little brown husk covering the tip, and they are ready to use. Try one raw, and chew well to release the citrussy flavour which follows the initial taste of resin. I am beginning with three methods of preserving: in salt; in sugar; as a sweet syrup. All these are easy to do, and will keep until you are ready to use them. And they are all delicious. With salt: Blend 1:1 in volume coarse sea salt and tips. 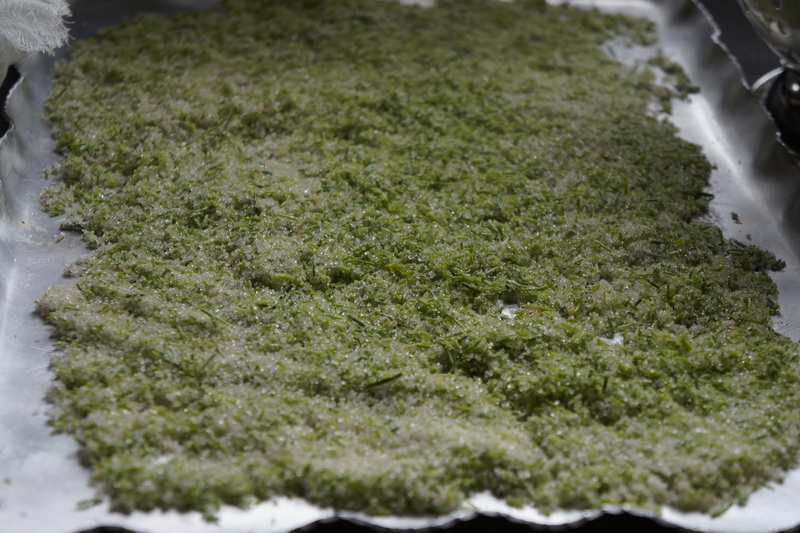 Chop in the food processor and spread on a sheet to dry. How to use: Add to mayonnaise, salad dressing, fish marinade, roasted vegetables. With sugar: Blend 1:1 in volume sugar and tips. Chop in the food processor and spread on a sheet to dry. How to use: Use in baking, add to tea, coat the rim of a cocktail glass. Syrup: Mix together 1:1:1 sugar, water and tips. Bring to a full boil, turn off the heat and let cool in the pan. Strain. How to use: As a sweet topping, add to drinks hot or cold, soft or hard. Check in later for a special spruce tip dessert I am working on. 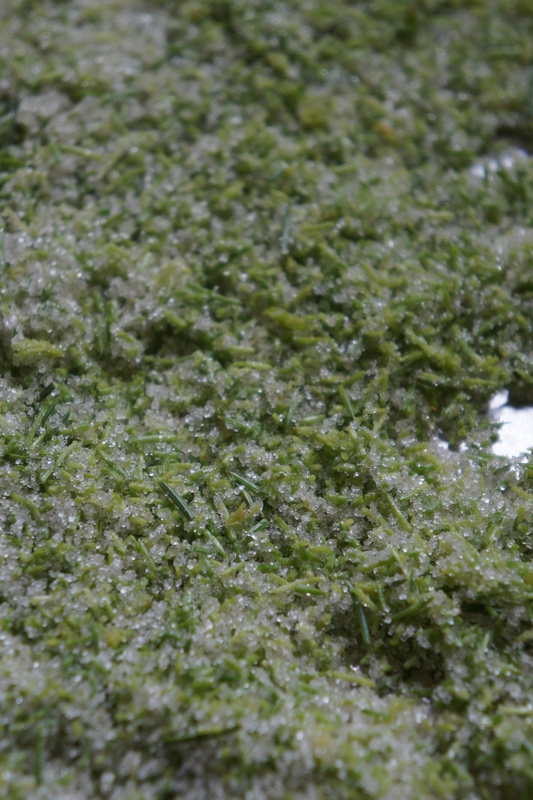 Categories: evergreens | Tags: edible evergreens, foraging, preserving, salt, spruce tips, sugar | Permalink.